The Baseball Spin About Play Component adds a bit of character and personalization to The Original Spin About. 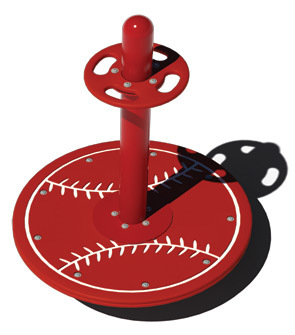 The platform features a baseball design that makes this play component even more fun and inviting for children. The Spin About also encourages muscle development at a young age because of the pulling motion required to spin.